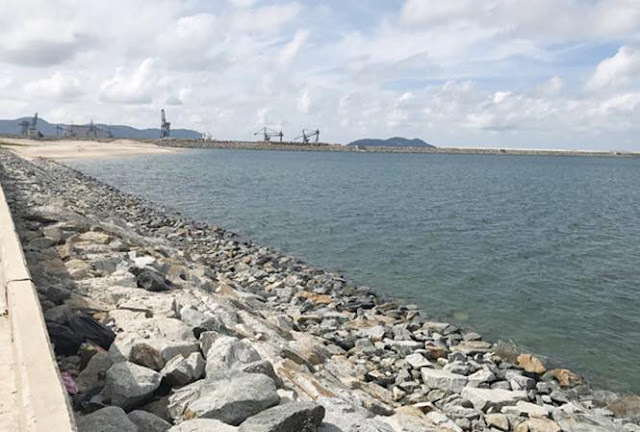 In order to handle the huge slag of up to millions of cubic meters in steel processing, Formosa Iron and Steel Company has completed the construction of a sea embankment system to deposit the slag waste. 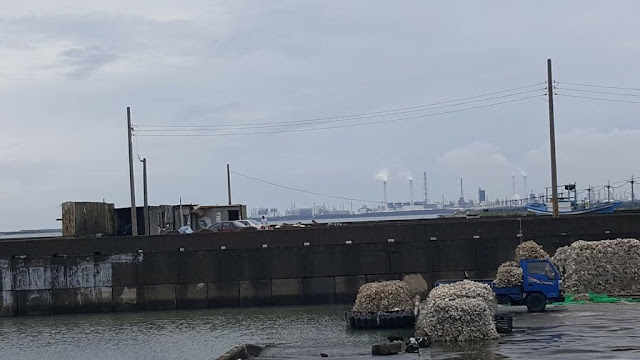 In Taiwan, after only five years of operation since the Formosa plant went into operation in 1998, a series of marine environmental disasters have devastated the entire ecosystem of animals. Five years later, cancer cases rose in the villages of Dai Tay, Dong The, Hong Bo, Tu Ho, Bao Trung, and Mach Lieu. Hundreds of thousands of protests in Taiwan have taken place demanding Formosa to clean up it's mess. With the ambition to not stop, Formosa has always sought ways to deceive and manipulate the public. The plant showcases a gallery of images and laboratories that showed effluent was standard and harmless to marine species. By the sea they built high concrete embankments, their propaganda is about promoting the effectiveness of the toxins from the garbage of the factory with the local people there. A local resident said, "We do not believe in what Formosa says and do not believe in those embargoes. After more than 20 years of operation with embankments and promises, the Taiwan Sea is now muddy and stinky. " Formosa to expand it's steel plantation. Relying on the lax elements of environmental law and taking advantage of the money-changers, in which Formosa has a 70-year-old roots, it has decided to expand its operation to Vietnam. Formosa caused a catastrophe in Vietnam, the economy of the country was plagued by a massive loss of marine revenue and the unemployment of millions of people. The Vietnamese people are once again shocked to hear that Formosa built the embankments to encroach the slag produced by it's steel plantation amounting to tens of millions of tons. Again, their promises are no different from Taiwan: "This slag deposit is based on the technology that has been successfully used in the world, ensuring zero pollution to the sea environment. 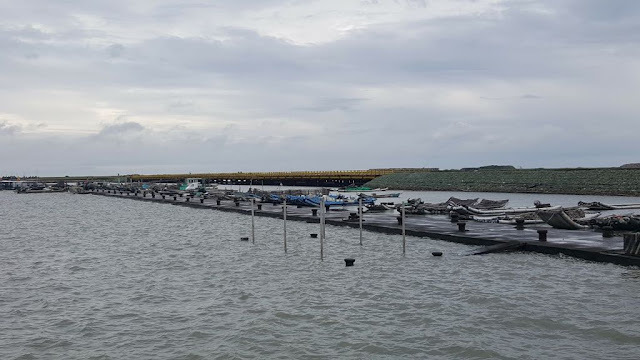 This beach encroachment is constructed with concrete dams and surrounding water filters, and rain water can not be drained through the sluice dike to a height of over 6 meters." 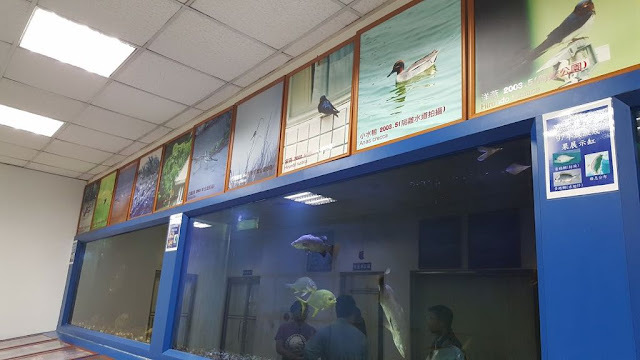 Mr Hoang Van Thuc, Deputy Director General of the Environment Division of the Ministry of Natural Resources and Environment, said: "I wish that the public would have a more generous view of Formosa and would believe in the responsibility of the authorities within the company. 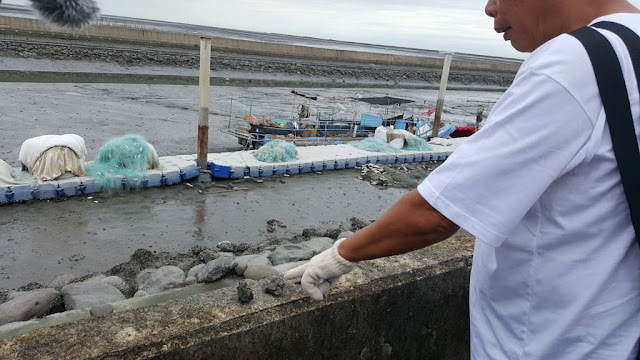 In the case of Formosa, there is a lot of garbage, so much waste and ordinary waste to be checked and inspected to prevent any further violations." But the faith that the people of Viet Nam in it's offcials has gradually declined, so it is harder to ask for the public to believe in Formosa. The problem now is not that Vietnamese officials like Thuc called on the people to believe in Formosa, the people just need to look at Formosa's 20 year history in Taiwan to feel overwhelmed with the scams and lies by the company itself. It is time for the ministries and the Government of Vietnam to be alert and not make any decisions that will destroy the environment, destroy the people, and go against the expectations of the people.